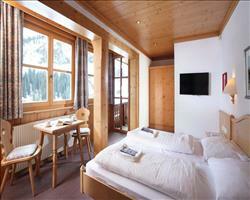 A prime location in Lech’s village centre makes Anthony’s Alpin Hotel a popular choice with its customers. And not only is it close to the shops, restaurants and bars of this Austrian resort, but it’s also practically next door to both the Bergbahnen Oberlech and Schlosskopf lifts – the starting points of your journey up the mountain. 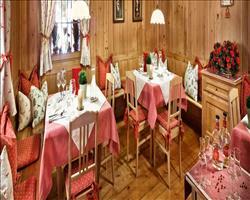 This small hotel is designed top to bottom in a traditional Alpine style, with wooden beams and red furnishings dotted all over the place. The eight suites are spacious and welcoming, and the bathrooms are extremely large, all with double sinks. The benefit of a small property is that guests receive an extra special level of service – personal, intimate and charming. 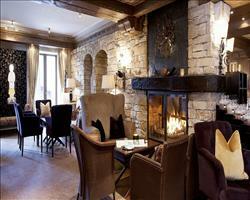 Anthony’s Alpin also houses a spa where you can revive your muscles after a day playing in the snow. The wellness area has a sauna, steam room, infrared cabin and ice grotto along with water beds you can sink into, a massage chair and relaxing hydrotherapy showers. And because the hotel’s quite small, you’ll practically have the place to yourself. In the mornings, you’ll be treated to a scrumptious buffet breakfast that will sort you right out for a full morning in the fresh air, and once you’ve swooped your way back down in the afternoons, complimentary sweet or savoury snacks will be ready and waiting for you to graze on. All rooms have a flatscreen TV with UK channels, free WiFi, telephone, hairdryer and safe, and are non-smoking. Deluxe Twin Room - sleeps 2: Austrian twin beds, private shower or bath, WC and balcony. Junior suite - sleeps 2-4 (max 3 adults): Austrian twin beds, double sofa bed, private shower or bath, WC and balcony. We update Anthony's Alpin Hotel's details often, but facilities do change. e.g. some extras listed by the supplier as "free" or included might only be for the first time you use them, or for one time per party, then charged for further use. If any specific feature is essential to your holiday, make sure you ask us to confirm the details of it before you book your holiday. This package holiday to Anthony's Alpin Hotel in Lech, Austria departs Saturday 28th March 2020, for a 7 night stay on a "bed & breakfast" board basis. A local tourist tax (Taxe de Sejour or Kurtaxe) is levied by many councils in European ski resorts. It varies by standard and type of accommodation and is age dependent, so not everyone is charged. It's not included in the basic price of your holiday and is usually paid locally. For reference, the average charged in winter 15/16 was between 50p and £2 per person, per night. Lech lift pass price last reported as €235,00. Ask for a quote when booking Anthony's Alpin Hotel. 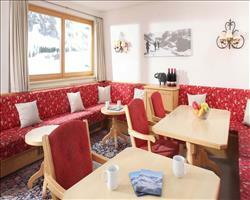 Chalet Furka Lech Austria, Gatwick to Friedrichshafen 28th March. 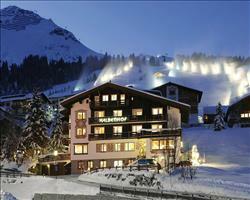 Chalet Alpenland Lech Austria, Gatwick to Friedrichshafen 28th March. Hotel Lech/Reside... Lech Austria, Dover Ferry 28th March. Hotel Haldenhof Lech Austria, Dover Ferry 28th March. Hotel Berghof Lech Austria, Dover Ferry 28th March. 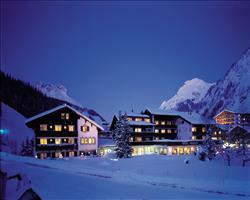 Hotel Arlberg Lech Austria, Dover Ferry 28th March.